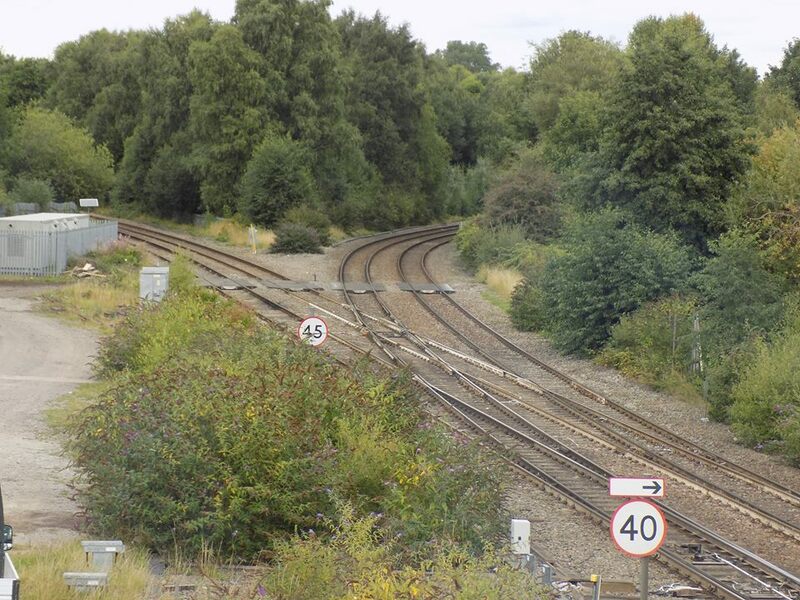 An appeal for help from Aldridge Shed: Can you help? 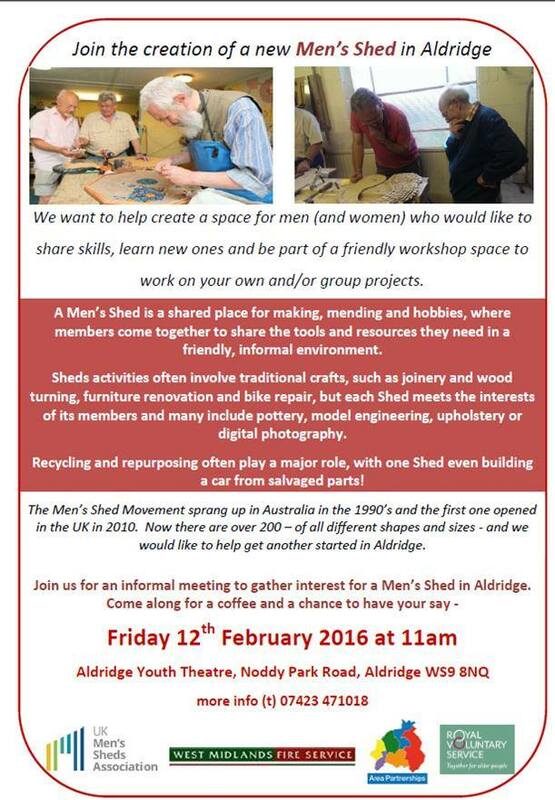 The Aldridge Men’s Shed – Open this Tuesday, Wednesday and Thursday! 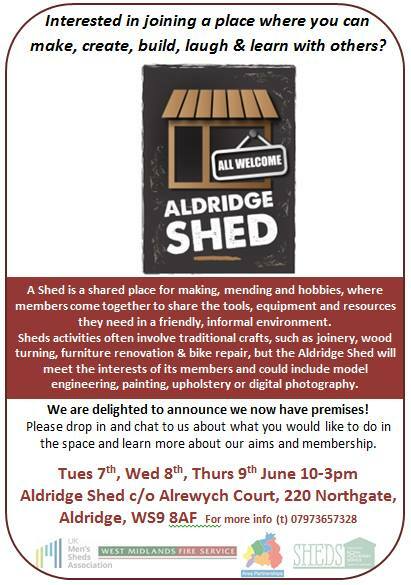 Just a reminder from Area Manager John Morris that the Aldridge Men’s Shed project opens it’s doors at Alrewych Court, Northgate to members of the community (gentlemen and ladies!) from tomorrow, Tuesday 7th June 2016 – then on Wednesday and Thursday, the hours being 10am-3pm. Just a quick note to than friends of the blog Steve Hames from SJH Computing and Ray Johnson who helped Aldridge Shed project with donated computer hardware following their recent request for help, which I publicised here on the blog. 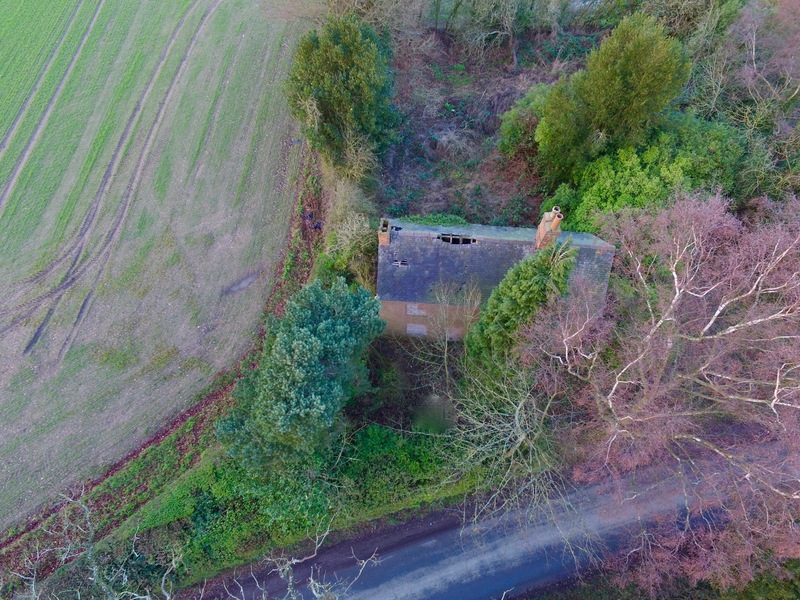 Can you help put a PC in the shed, please? An enquiry reaches me from the wonderful Aldridge Men’s Shed project via Area Manager John Morris: the group are after an old PC or laptop computer for group use that could be donated – perhaps you’re offloading one you don’t need anymore? 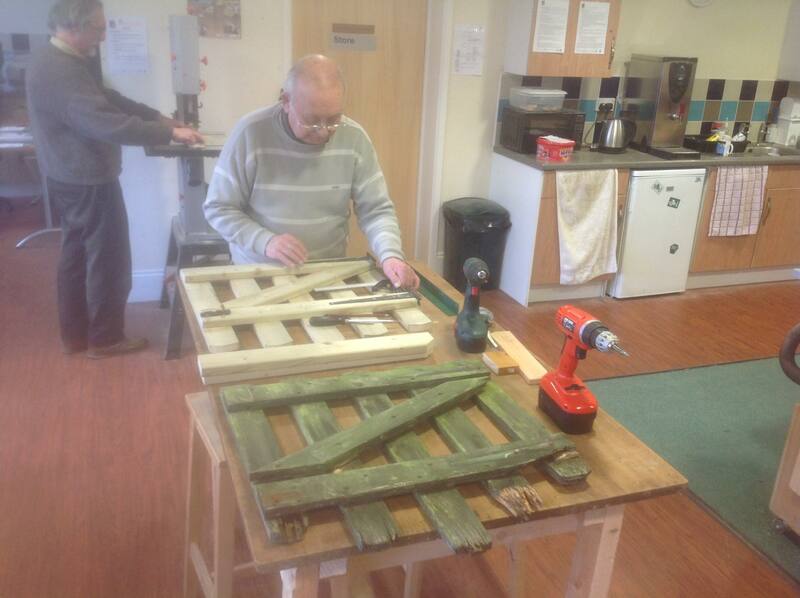 I know a place – The Men’s Shed launches soon! 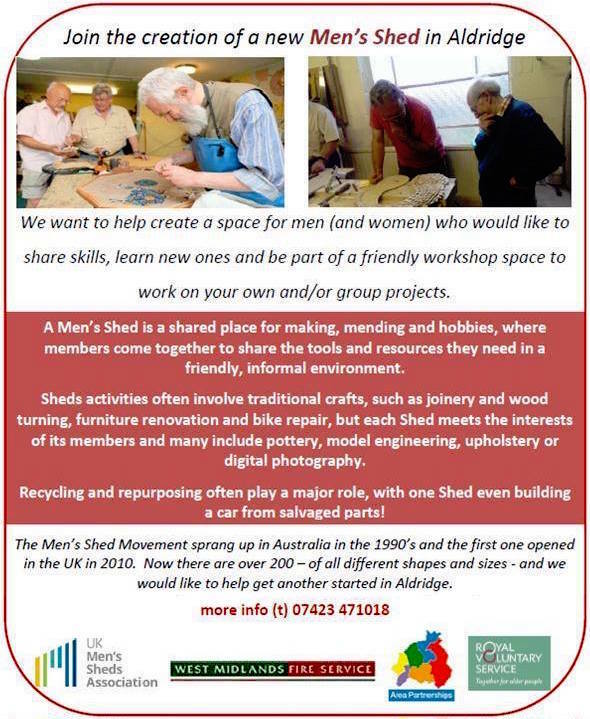 For a few moths now I’ve been following news of a new project starting in Aldridge to create a Men’s Shed, and after a whole lot of really hard graft by people from loads of different organisations, Aldridge Men’s Shed now has premises, and organisation and opening dates! 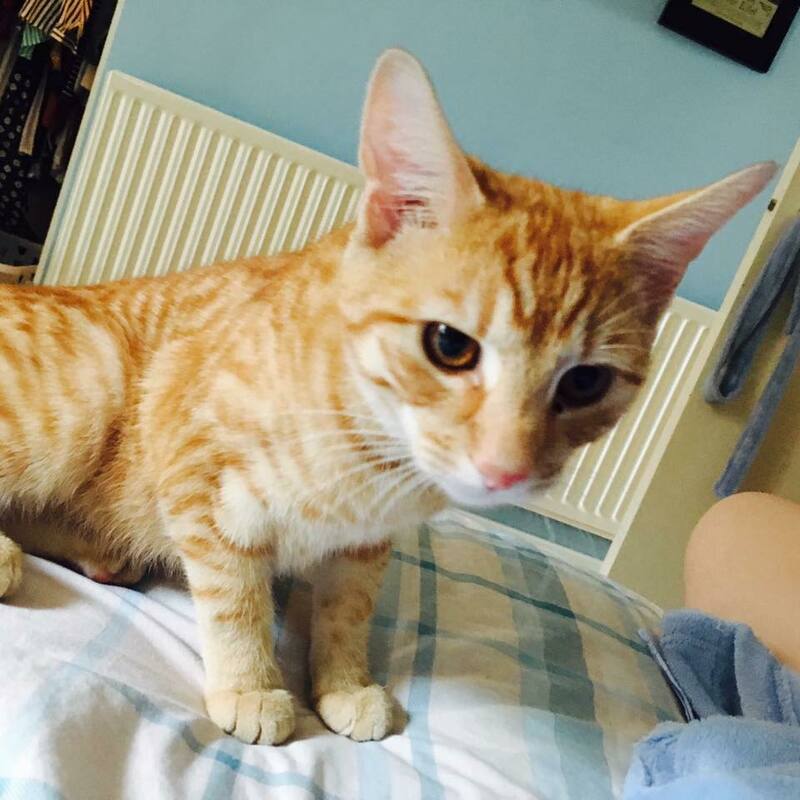 Urgent – Jenson the cat is missing – have you seen him? Hi folks – anyone in the area seen the above marmalade puss – he’s called Jenson and has gone missing from Lazy Hill in Aldridge and his owner Adam is missing him terribly. 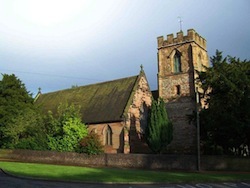 A month ago I ran a heads up for a new project starting in Aldridge to create a Men’s Shed, and the meeting to discuss this wonderful proposal was held on the 12th February as advertised – well, John Morris, Area Manager for Aldridge has reported back very positively from that meeting, which is great news. 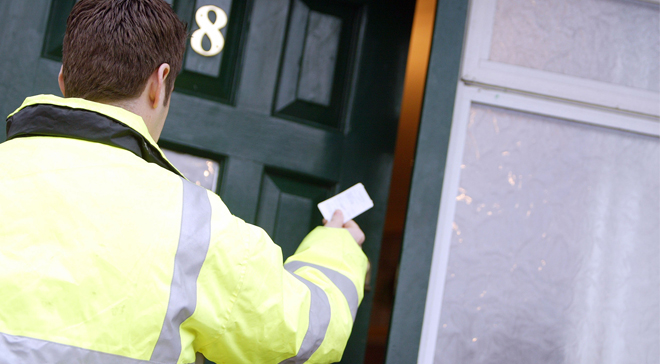 Partnerships officer Kevin Pitt has sent details of a bogus workmen scam operating in Aldridge that has led to the detention of two men in connection with a scam in which a local OAP was intimidated into withdrawing money from their bank by workmen who claimed to have carried out unsolicited work. 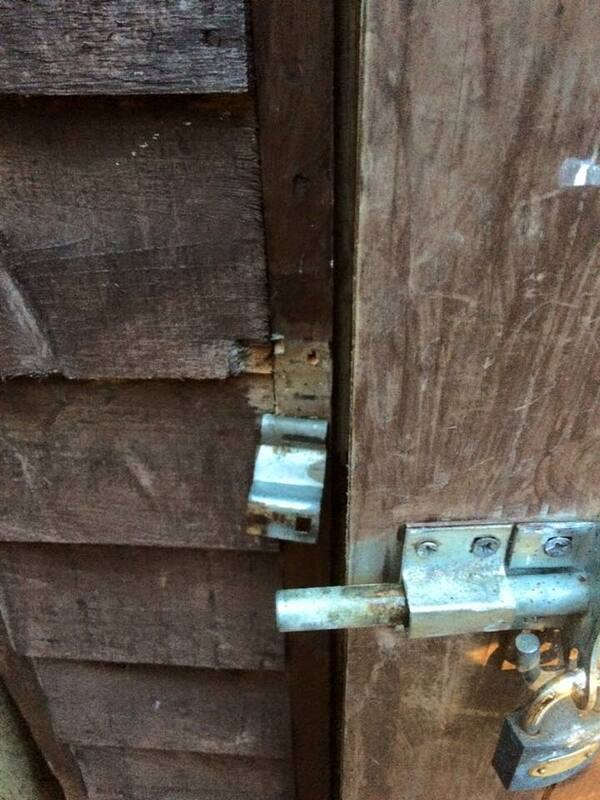 There’s something in the woodshed! 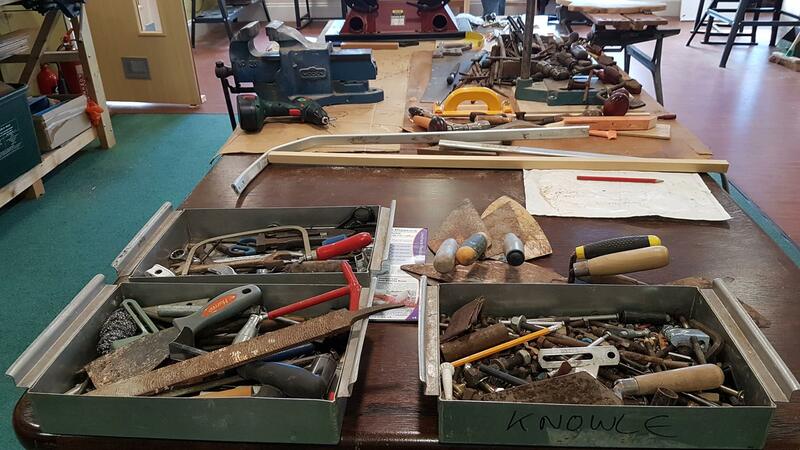 There’s a really great thing starting to take place in Aldridge at the moment, and as a chap that likes to make stuff, repair things and generally create bits and pieces with my hands, this looks like a great project that really chimes with me. Fancy a brew and a chat? Pop into Brownhills Library today! 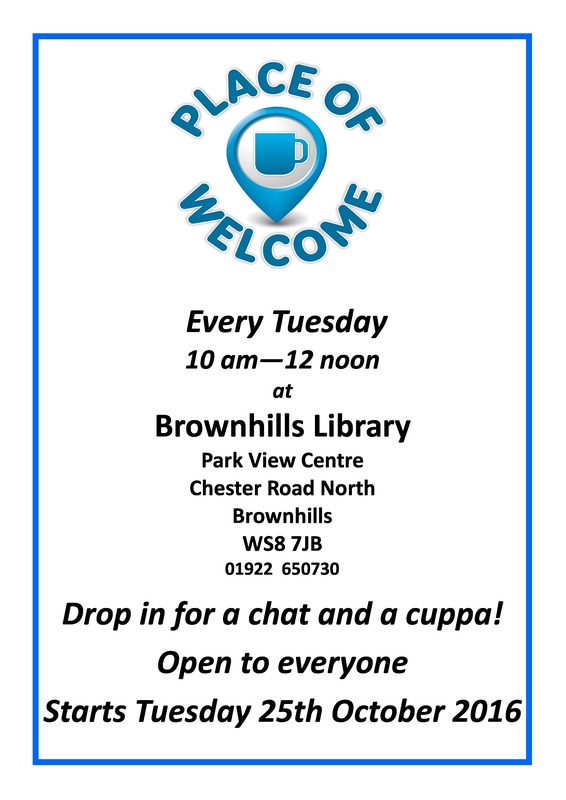 Here’s a great chance for a bit of a chinwag, a brew and even a biscuit for anyone who can make it to Brownhills Library, this and every Tuesday morning from 10am until 12 noon, where the new Place of Welcome initiative is running. A great event for the over 50s in Walsall this afternoon! 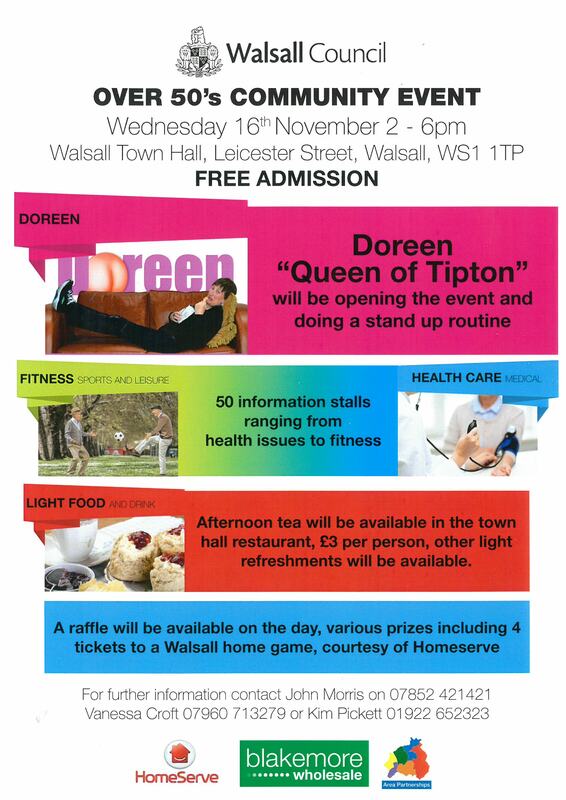 I note that this afternoon (Wednesday 16th November 2016) there’s a great event on at Walsall Town Hall featuring a showcase of groups, activities and other helpful stuff for those of us over or nearing the age of 50. Sorry folks, I’ve been very busy again this week and what with the constant news posts of late I’m getting terribly behind. My apologies to people waiting for stories to go up but I really am having trouble fitting things in at the moment. Hopefully the rush will ease off soon. 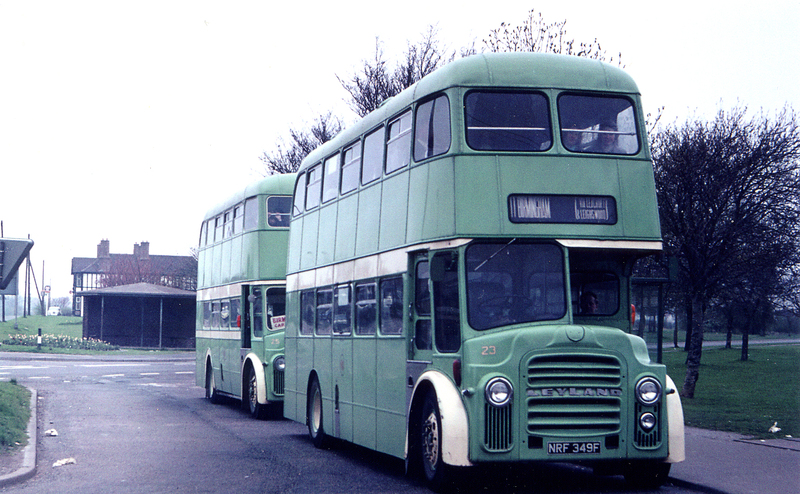 Sometimes I get emails or contacts out of the blue with subjects that just knock me flat – and overnight I received a lovely, kind email from Malcolm Clarke, an ex-local now residing in New Zealand – Malcolm has an interesting bit of history I had no idea had occurred locally. 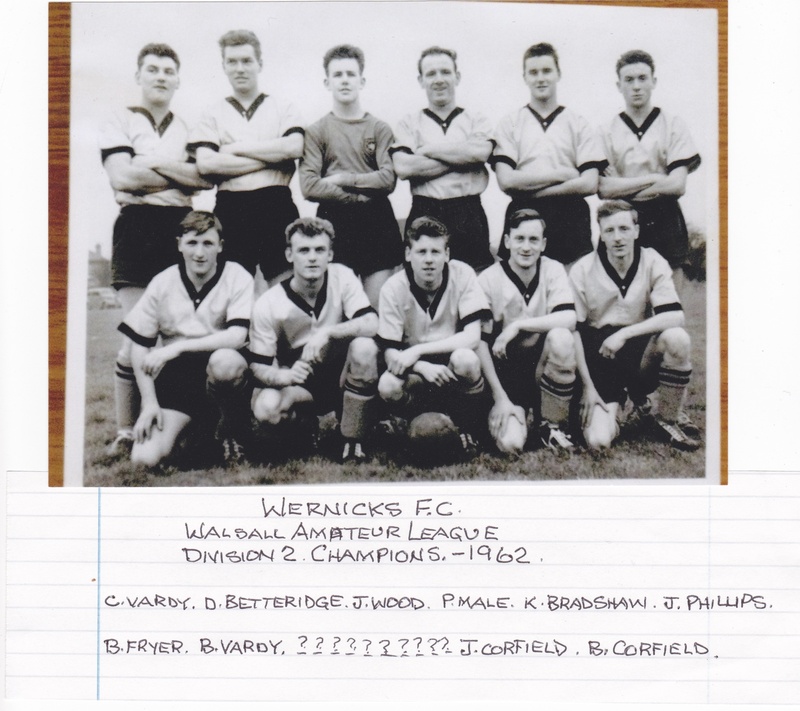 Friend of the blog, community activist and Clayhanger Kid himself, Brian Stringer has sent the above image of a local football team and is desperately trying to identify the unknown chap (who is, I believe centre front row). 2017 New Year Quiz – the results are in! 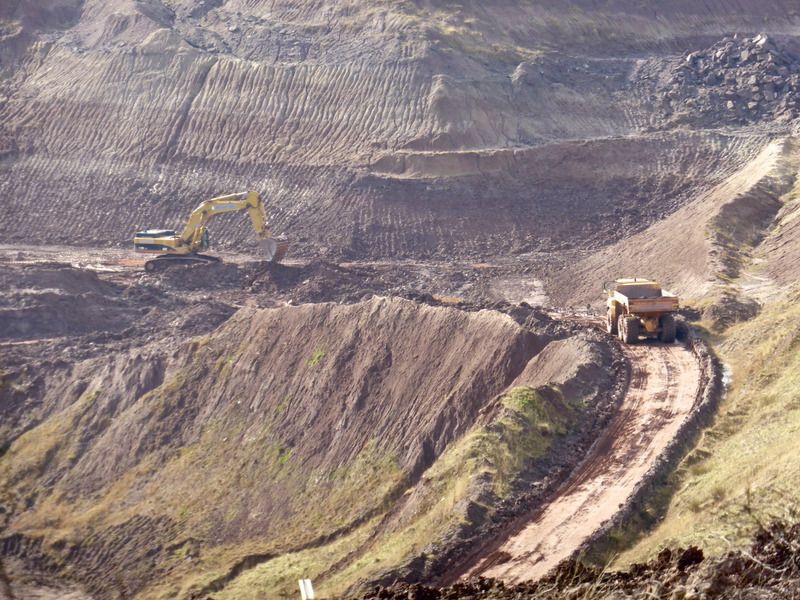 Hi folks – the quiz is over – sorry, I seem to have made it too hard this year. 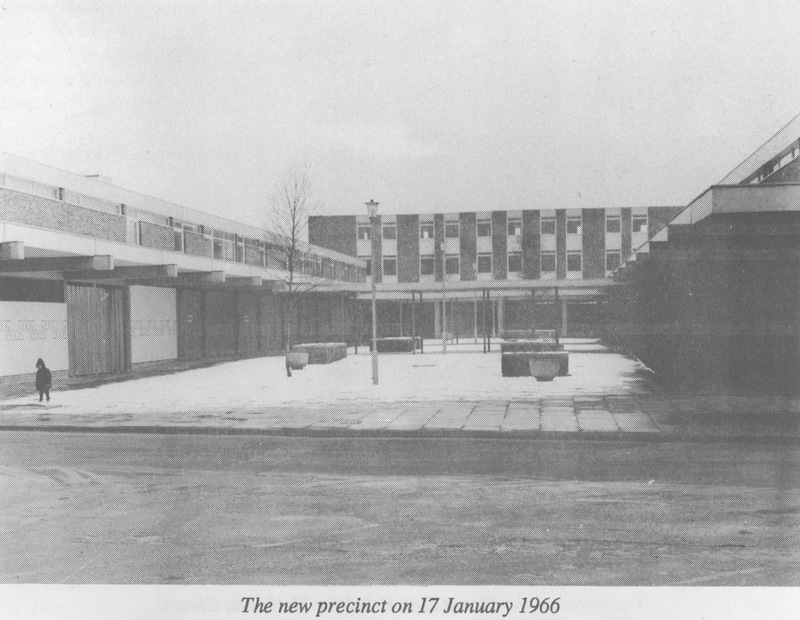 I’ve been meaning to write on the subject of Ravens court for probably more than a year now – but quite simply, I have nothing to constructively add about the derelict, decaying shopping precinct in the centre of Brownhills – the Council still press on in taking legal action against it’s owners, and we’re still left with a blot on our town. 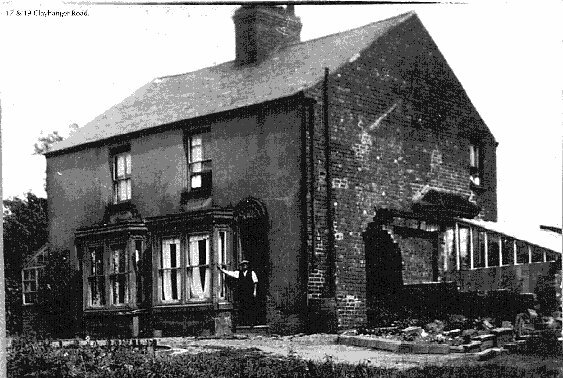 I am this week indebted to fellow Black Country blogger and history wonk Simon Briercliffe of the superlative Up The Oss Road blog for pointing out the following text about Walsall Wood that he spotted in a Victorian account of brickmaking and structural ceramic manufacture, published in 1950. 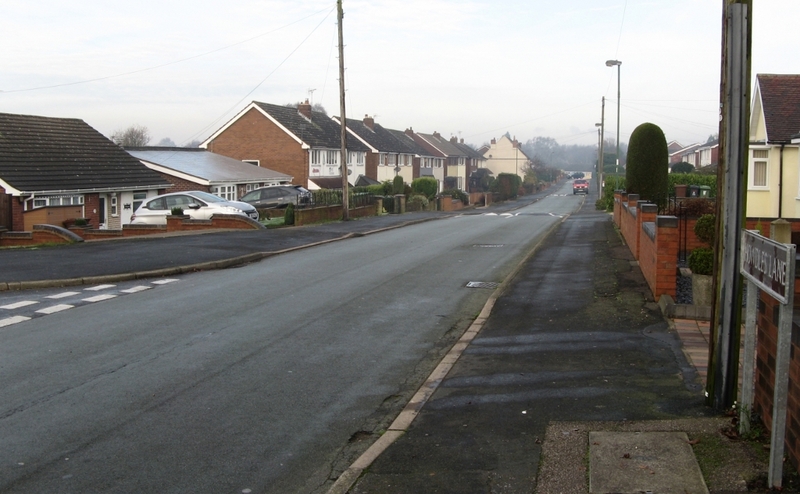 It’s time, I’m very much afraid, to issue another warning – it seems local burglars are at is again – In the last week or so there have been shed, garage and vehicle break-ins in Shire Oak, Stonnall and Aldridge. 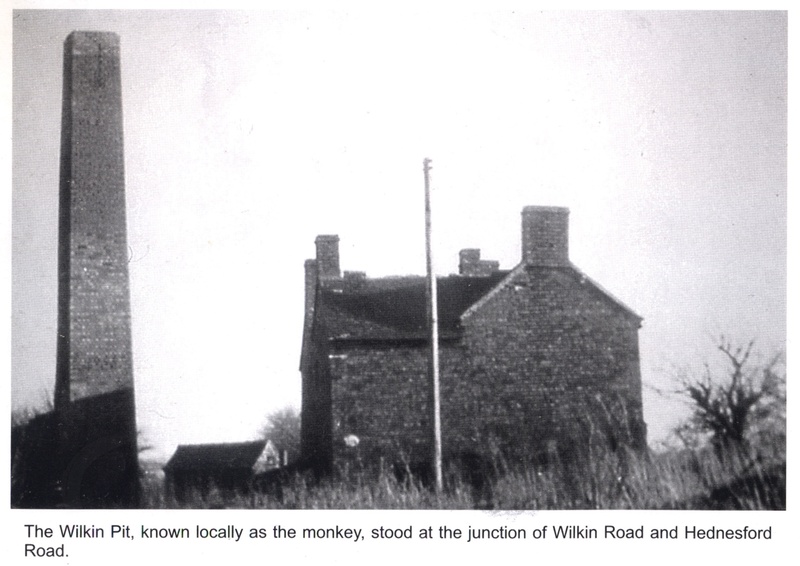 A couple of weeks ago I posted an enquiry by reader Margaret King about the location of a pub her Dad remembered from when he was evacuated to Brownhills as a small boy: he remembered the pub as ‘The Monkey Puzzle’, which had me somewhat perplexed. 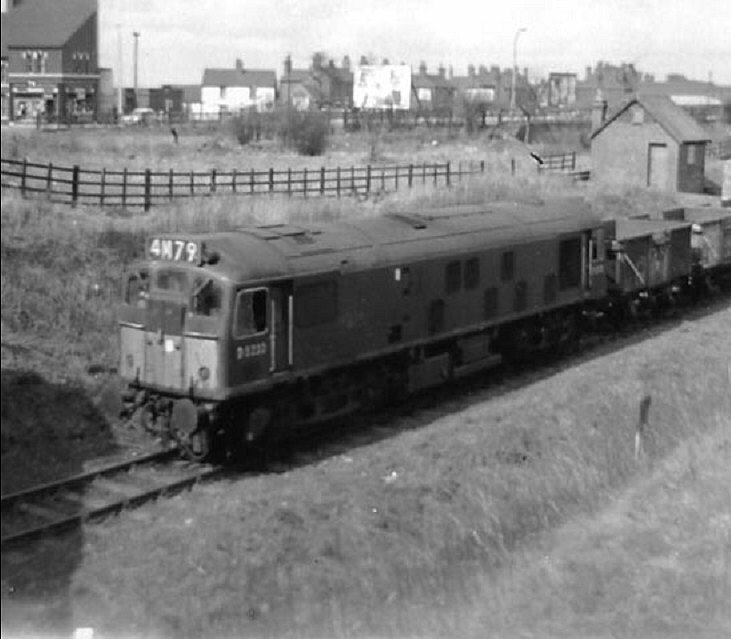 For a long time now, I’ve had a remarkable piece of research from local history buff and great friend of the blog Andy Dennis – it’s something I think will interest many here, and compliments the only other such work I know on the subject, that by Gerald ‘A Walk Into History’ Reece. 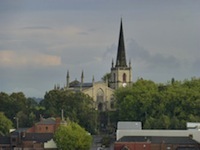 Further to last Sunday’s article here regarding the book I recently acquired, ‘Visitations of the Archdeaconry of Stafford 1829-1841’ I thought I’d take the opportunity to fulfil a couple of requests. 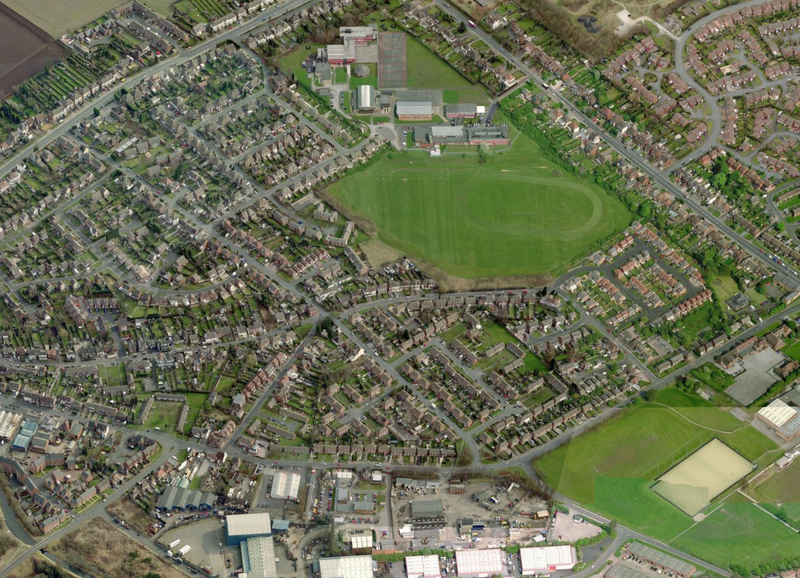 Students of Brownhills Local History will be aware of an elusive, long lost site by local chap Robert Webster. This great resource ceased to exist a few years ago, when Freeserve, the service provider in whose hosting space the website was based, shut down and merged with Orange. There was a surprising and good deal of interest shown recently when I scanned sections of a recently acquired book, ‘Visitations of the Archdeaconry of Stafford 1829-1841′ published by the Historical Manuscripts Commission and Her Majesty’s Stationary Office (HMSO). This copy was published in 1980, and bears the ISBN of 0 11 440066 0. The work is edited by David Robinson MA, Ph D.